"I have thorns in my thumb"
"??!!? You picked up a cactus!" 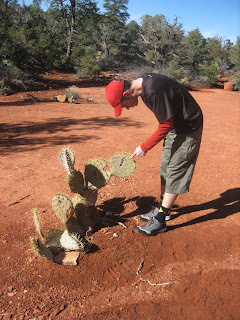 "Yeah...but I thought I was holding it between the thorns....."
More adventures from the red rocks coming shortly.